Discovering the perfect location is, more often than not, only half the battle. Located in the heart of Vaughan, at the south west corner of Weston Rd. and Rutherford, Dreamworx Ink is one of the most highly recommended studios in the city. The sleek and contemporary look of our studio pulls from the most innovative design layouts and styles currently available. Developed with a modernist theme, Dreamworx Ink was created to stand as an upscale and spa like body art studio. The studio prides itself on our premium procedure rooms and completely single-use disposable equipment. With clean-cut edges and a minimalist theme, the gut renovation design was developed by owner Ben Tarzia and a team of designers and architects. 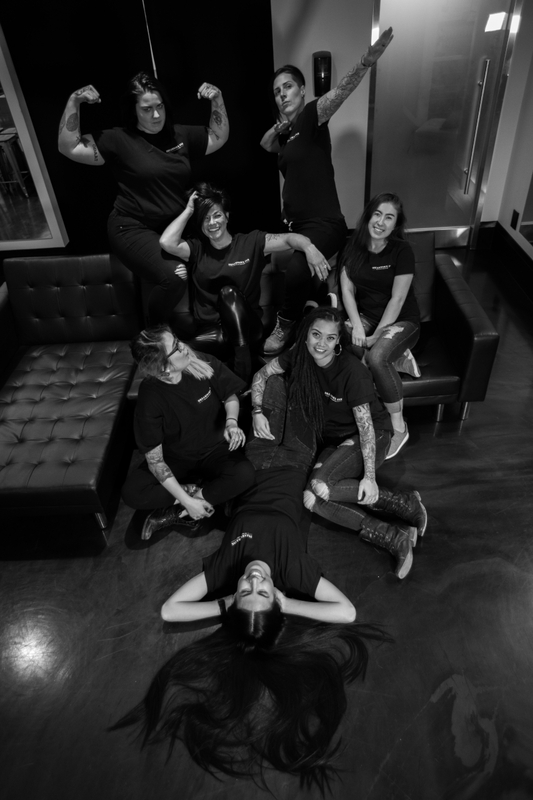 The studio stands in a category of its own and brings class and elegance to the world of tattoos and body modification. Dreamworx Ink houses nine separate booths that cater to the comfort and privacy of all our clients. Making our clients and their family and friends feel comfortable is the direct aim of our body art studio. Book an appointment to learn more about our designs and tattoo process. “Got my 1st tattoo today at Dreamworx with Nina! It’s perfect! Everyone is friendly and helpful. Ben is ADORABLE!!!. The place is clean and well kept. A great experience! I highly recommend it to anyone!" “I had my first tattoo done at Dreamworx by Nina and I was completely impressed and blown away by the entire experience. The atmosphere was very welcoming and the people working there were great. Nina, the artist was also very skilled and warming. Since, it was my first tattoo she made the experience very comfortable for me. I must say it was definitely the right decision to go with Dreamworx Ink! I would definitely recommend this place to anyone looking to get some ink done. Learn how we became the upscale body art studio that people trust today! Check out our blog for the latest news and concepts at Dreamworx Ink. Looking to get a tattoo removed? Come and consult with our professionals.